Cat Chiu Phillips explores the juxtaposition of Latino and Filipino cultures in San Diego through her project Barong/Guayabera. 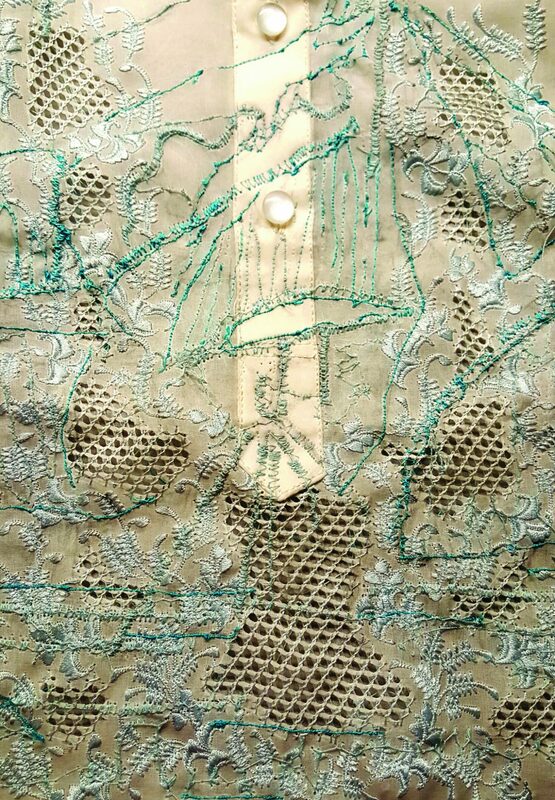 Titled for the names of traditional formal clothing items from each of the aforementioned cultures, Phillips’ work features intricate hand and machine embroidery. The imagery rendered in colorful thread reflects how these cultures have come to have a shared history through migration. Her intent is to illustrate the diversity and rich origins of certain families and communities in San Diego.